About every week we move the goats into a new paddock of between 1/4 and 1/2 an acre. 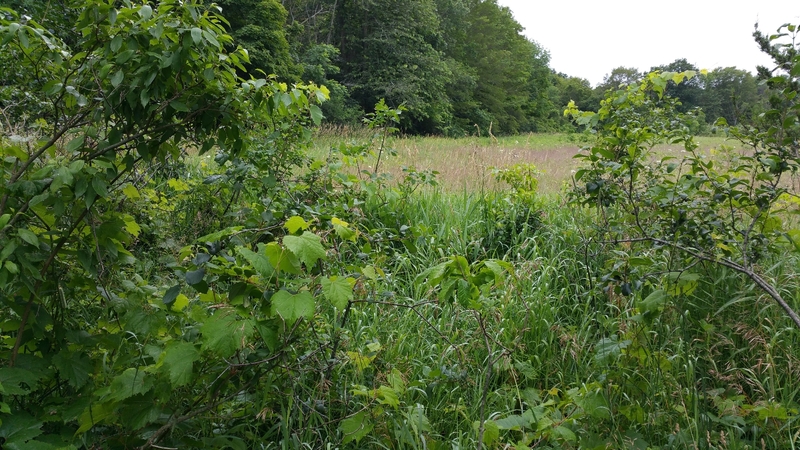 With all the rain that we have been receiving this summer, the paddocks have been lush with rapidly growing bushes, trees, wild grape vines and tall grasses and weeds. 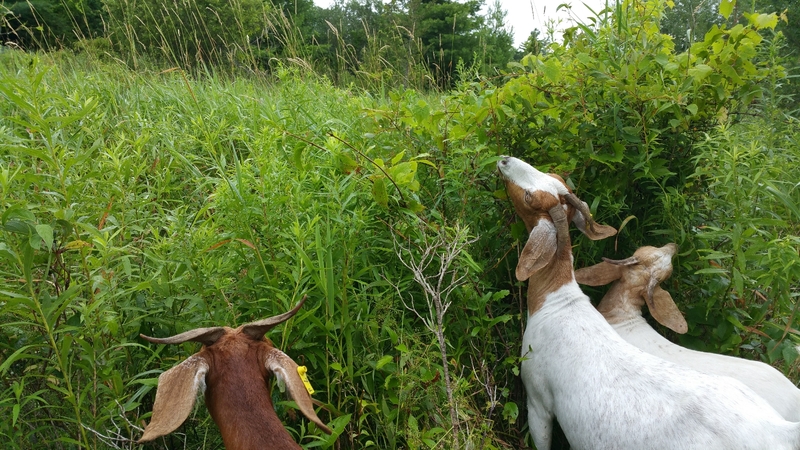 The goats eagerly attack their favourites, such as grape vines and clover, and then move on to other things. At the end of the week, the paddock looks very different and the goats are eager to move to the next one. Lush grasses, weeds, bushes and grape vines await the goats in this new paddock. 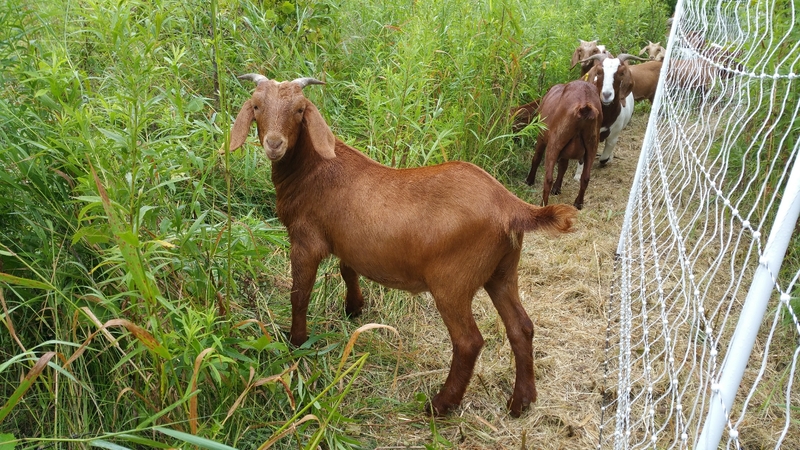 The grass and weeds have grown so tall this year that the goats often seem to get lost in them. But after about a week, a paddock looks quite different! The last paddock after one week of goat grazing. Yes, it looks a bit desolate but it bounces back quickly. In fact, the grazing action and the added nitrogen from the manure seems to stimulate the regrowth as you can see in the next picture. This paddock looked just as denuded as the one above a couple of months ago, but it has grown back beautifully. 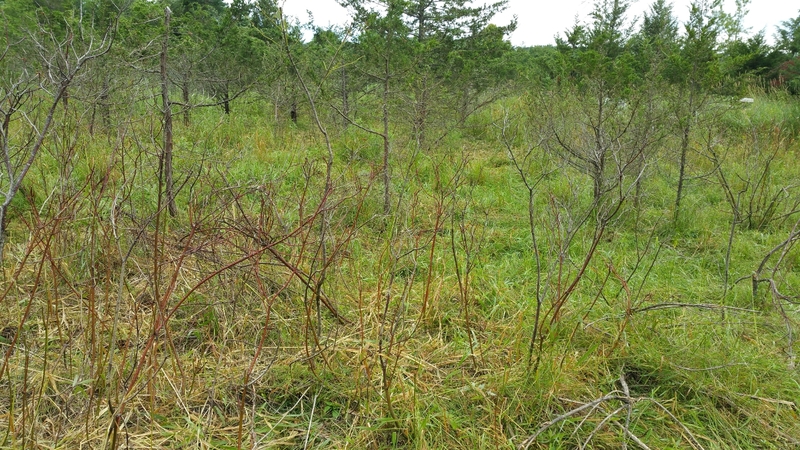 If we grazed it again too soon and too often, it is possible that the bushes and small trees would die but we likely won’t put the goats back onto it until next spring. All this good goat food makes little kids grow! This guy and several of his half-brothers have all passed 80 pounds and they are just five months old. Last year’s goat growth was good but this year’s is much better.